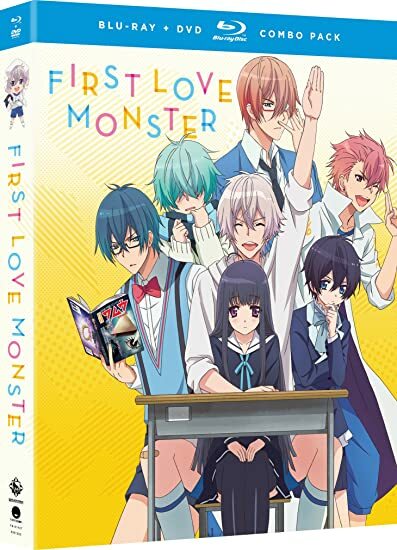 First Love Monster: Complete Series - BUY THIS BLU-RAY! Kaho Nikaido has always lived a sheltered life with everything she could ever want. Ready for a change, she decides to move to Tokyo for high school. But her first day in the big city almost becomes her last when she’s nearly hit by a truck! Luckily, the very handsome Kanade Takahashi swoops in just in time to save her. And when their eyes meet, Kaho is completely smitten! Unable to get him off her mind, she works up the courage to confess her love. For an instant, it seems like a perfect love story. Until Kanade warns her about his secret that could change her feelings. But surely nothing could keep her from this gorgeous specimen of a man…right? Well, maybe just the fact that the tall, dreamy, and very fit Kanade is…a fifth-grader?! Floored by such a bizarre reveal, Kaho finds herself in a house filled with weird tenants and a strange mix of feelings about the surprisingly childish Kanade. With this odd turn of events, will Kaho survive her time in the big city? THEN SEND IN A COMMENT ABOUT YOUR FAVORITE FUNIMATION TITLE (you may click on artwork above for a refresher) PLUS YOUR NAME AND ADDRESS TO contests@efilmcritic.com or WeLoveHBS@aol.com. (Just one e-mail please.) Put [b]"EVERYONE REMEMBERS THEIR FIRST MONSTER LOVE" in the subject line and cross your fingers. We will draw names and one of the prizes could be yours. Only 1 entry per household.